For courses on C# programming found in departments of Computer Science, CIS, MIS, IT, Business, Engineering and Continuing Education. An exciting addition to the How to Program series, C# How to Program provides a comprehensive introduction to Microsoft's new object-oriented language. C# builds on the skills already mastered by countless C++ and Java programmers, enabling them to create powerful Web applications and components-ranging from XML-based Web services on Microsoft's .NET™ platform to middle-tier business objects and system-level applications. C# How to Program gives students the strong foundation in introductory and intermediate programming principles they'll need in industry. Mastering C# will allow them to create complex systems-using fewer lines of code and reducing the chance for error. The end result is faster development at a decreased cost-and optimum adaptability that makes it easy to keep up with the evolving Web. (NOTE: Each chapter begins with an Introduction. 1. Introduction to Computers, Internet, World Wide Web and C#. What Is a Computer? Computer Organization. Evolution of Operating Systems. Personal Computing, Distributed Computing and Client/Server Computing. Machine Languages, Assembly Languages and High-Leel Languages. 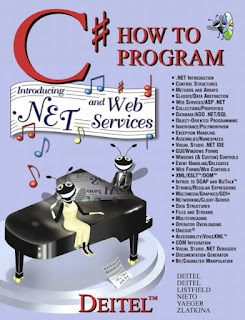 C, CC++, Visual Basic .NET and Java™. C#. Other High-level Languages. Structured Programming. Key Software Trends: Object Technology. Hardware Trends. History of the Internet and World Wide Web. World Wide Web Consortium (W3C). Extensible Markup Language (XML). Introduction to Microsoft .NET. .NET Framework and the Common Language Runtime. Tour of the Book. Internet and World Wide Web Resources. 2. Introduction to the Visual Studio .NET IDE. Visual Studio .NET Integrated Development Environment (IDE) Overview. Menu Bar and Toolbar. Visual Studio. .NET Windows. Using Help. Simple Program: Displaying Text and an Image. 3. Introduction to C# Programming. Simple Program: Printing a Line of Text. Another Simple Program: Adding Integers. Memory Concepts. Arithmetic. Decision Making: Equality and Relational Operations. 4. Control Structures: Part 1. Algorithms. Pseudocode. Control Structures. if Selection Structure. if/else Selection Structure. while Repetition Structure. Formulating Algorithms: Case Study 1 (Counter-Controlled Repetition). Formulating Algorithms with Top-Down, Stepwise Refinement: Case Study 3 (Nested Control Structures). Assignment Operators. Increment and Decrement Operators. Introduction to Widows Application Programming. 5. Control Structures: Part 2. Essentials of Counter-Controlled Repetition. for Repetition Structure. Examples Using the for Structure. switch Multiple-Selection Structure. do/while Repetition Structure. Statements break and continue. Logical and Conditional Operators. Structured-Programming Summary. Program Modules in C#. Math Class Methods.Methods. Method Definitions. Argument Promotion. C# Namespaces. Value Types and Reference Types. Passing Arguments: Pass-by-Value vs. Passby-by-Reference. Random-Number Generation. Example: Game of Chance. Duration of Variables. Scope Rules. Recursion. Example Using Recursion: The Fibonacci Series. Recursion vs. Iteration. Method Overloading. Declaring and Allocating Arrays. Examples Using Arrays. Passing Arrays to Methods. Passing Arrays by Value and Reference. Sorting Arrays. Searching Arrays: Linear Search and Binary Search. Multidimensional Rectangular and Jagged Arrays. Variable-Length Parameter Lists. For Each/Next Repetition Structure. Implementing a Time Abstract Data Type with a Class. Class Scope. Controlling Access to Members. Initializing Class Objects: Constructors. Using Overloaded Constructors. Using Overloaded Construction. Properties. Composition: Objects References as Instance Variables of Other Classes. Using the this Reference. Garbage Collection. static Class Members. const and ReadOnly Members. Indexers Data Abstraction and Information Hiding. Software Reusability. Namespaces and Assemblies. Class View and Object Browser. Base Classes and Derived Classes. protected and internal Members. Relationship between Base Classes and Derived Classes. Case Study: Three-Level Inheritance Hierarchy. Constructors and Destructors in Derived Classes. Software Engineering with Inheritance. Derived-Class-Object to Base-Class-Object Conversion. Type Fields and switch Statements. Polymorphism Examples. Abstract Classes and Methods. Case Study: Inheriting Interface and Implementation. sealed Classes and Methods. Case Study: Payroll System Using Polymorphism. Case Study: Crating and Using Interfaces. Delegates. exception Handling Overview. Example: DivideByAZeroException. .NET Exception Hierarchy. Final Block. Exception Properties. Programmer-Defined Exception Classes. Handling Overflows. 12. Graphical User Interface Programming: Part 1. Window Forms. Event-Handling Model. Control Properties and Layout. Labels, TextBoxes and Buttons. GroupBoxes and Panels. CheckBoxes and RadioButtons. PictureBoxes. Mouse-Event Handling. Keyboard-Event Handling. 13. Graphical User Interface Programming: Part 2. Menus. LinkLabels. ListBoxes and CheckedListBoxes. ComboBoxes. TreeViews. ListViews. Tab Control. Multiple-Document-Interface (MDI) Windows. Visual Inheritance. User-Defined Controls. Thread States: Life Cycle of a Thread. Thread Priorities and Thread Scheduling. Thread Synchronization and Class Monitor. Producer/Consumer Relationship without Thread Synchronization. Producer/Consumer Relationship with Thread Synchronization. Producer/Consumer Relationship: Circular Buffer. 15. Strings, Characters and Regular Expressions. Fundamentals of Characters and Strings. String Constructors. StringLength and Chars Properties, and CopyTo Method. Comparing Strings. String Method GetHashCode. Locating Characters and Substrings in Strings. Extracting Substrings from Strings. Concatenating Strings. Miscellaneous String Methods. Class StringBuilder. StringBuilder Indexer, Length and Capacity Properties, and EnsureCapacity Method. StringBuilderAppend and AppendFormat Methods. Char Methods. Chard Scuffling and Dealing Simulation. Regular Expressions and lass Regex. Graphics Contexts and Graphics Objects. Color Control Font Control. Drawing Lines, Rectangles and Ovals. Drawing Arcs. Drawing Polygons and Polylines. Advanced Graphics Capabilities. Introduction to Multimedia. Loading, Displaying and Scaling Images. Animating a Series of Images. Windows Media Player. Microsoft Agent. Data Hierarchy. Files and Streams. Classes Files and Directory. Creating a Sequential-Access File. Reading Data Sequentially from a Random-Access File. Case Study: A Transaction-Processing Program. 18. Extensible Markup Language (XML). XML Documents. XZML Namespaces. Document Object Model (DOM). Document Type Definitions (DTDs), Schemas and Validation. 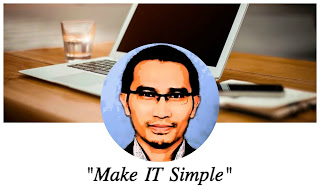 Extensible Stylesheet Language and XslTransform.Microsoft BizTalk. Internet and World Wide Web Resources. 19. Database, SQL and ADO.NET. Relational Database Model. Relational Database Overview: Books Database. Structured Query Language (SQL). ADO .NET Object Model. Programming with ADO .NET: Extracting Information from a DBMS. Prog4amming with ADO .NET: Modifying a DBMS. Reading and Writing XML Files. 20. ASP .NET, Web Forms and Web Controls. Simple HTTP Transaction. System Architecture. Creating and Running a Simple Web Form Example. Web Controls. Session Tracking. Case Study: Online Guest Book. Case Study: Connecting to a Database in ASP .NET. Tracing. Internet and World Wide Web Resources. 21. ASP.NET and Web Services. Web Services. Simple Object Access Protocol (SOAP) and Web Services. Publishing and Consuming Web Services. Session Tracking in Web Services. Using Web Forms and Web Services. Case Study: Temperature Information Application. User-Defined Types in Web Services. 22. Networking: Streams-Based Sockets and Datagrams. Establishing a Simple Server (Using Stream Sockets). Establishing a Simple Client (Using Stream Sockets). Client/Server Interaction with Stream-Socket Connections. Connectionless Client/Server Interaction with Datagrams. Client/Server Tic-Tac-Toe Using a Multithreaded Server. 23. Data Structures and Collectors. Self-Referential Classes. Linked Lists. Stacks. Queues. Trees. Collection Classes. Regulations and Resources. Web Accessibility Initiative. Proving Alternatives for Images. Maximizing Readability by Focusing on Structure. Accessibility in Visual Studio .NET. Accessibility in C#. Accessibility in XHTML Tables. Accessibility in XHTML Frames. Accessibility in XML. Using Voice Synthesis and Recognition with Voice XML™. CallXML™. JAWS® for Windows. Other Accessibility Tools. Accessibility in Microsoft® Windows® 2000. Internet and World Wide Web Resources. Signature “Live-Code™ Approach”—Language features are presented in the context of a wide variety of complete working programs. Features thousands of lines of code in hundreds of complete working programs. Enables students to confirm that programs run as expected. Students can also manipulate the code from the CD-ROM in the back of the book, from the book's Companion Website (www.prenhall.com/deitel), or from the authors' Website (www.deitel.com). Outstanding, consistent and applied pedagogy—Icons throughout identify Software Engineering Observations; Good Programming Practices; Common Programming Errors; Portability Tips; Performance Tips, Testing and Debugging Tips, and Look-and-Feel Observations. Provides hundreds of valuable programming tips and facilitates learning. Extensive set of interesting exercises and substantial projects. Students can apply what they've learned in each chapter. Four-way syntax coloring with the use of two colors and shading. Helps students better understand the book's hundreds of programs. Also available with the Multimedia Cyber Classroom —In The Complete C# Training Course, Student Edition (CD-ROM version: 0-13-064586-9; Web-based version: 0-13-064762-4). Provides extra hands-on experience and study aids for a minimal additional cost. Includes many hours of detailed, expert audio walkthroughs of the book's hundreds of live-code examples; post-assessment exams with hundreds of short-answer questions (all with answers); hundreds of self-review exercises drawn from the text (all with answers); hundreds of programming exercises from the main text (these exercises don't have answers in the main text, but half of these exercises have answers in The Complete Training Course); hundreds of tips that are marked with icons and show how to write C# code that's portable, reusable, and optimized for performance; and full-text searching and hyperlinking. Each How to Program text can be ordered as a Complete Training Course package, containing the main text and the corresponding Cyber Classroom—an interactive, multimedia, tutorial version of the book. The Complete Training Courses are a great value, giving students extra hands-on experience and study aids for a minimal additional cost. 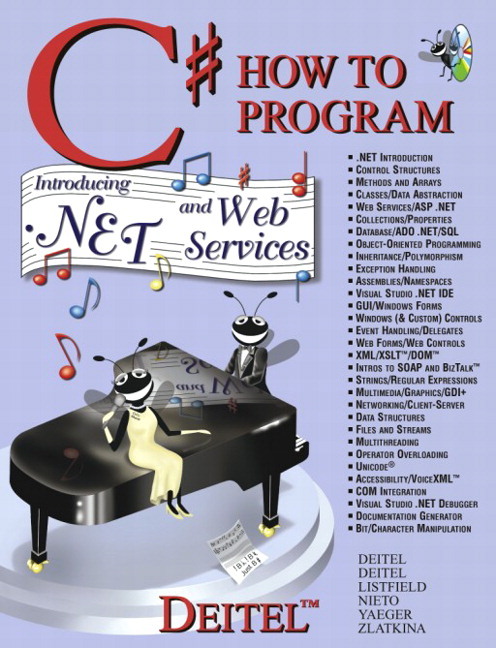 The full text, illustrations and program listings of its corresponding How to Program book with full-text searching and hyperlinking. Hours of detailed, expert audio descriptions of thousands of lines of code that help to reinforce concepts. Practice exams that offer students hundreds of short-answer test questions and answers. Hundreds of self-review questions that are drawn from the text, all with answers. Hundreds of programming exercises that are drawn from the text, half with answers (the main text does not provide any answers to these exercises). Intuitive browser-based interface, designed to be easy and accessible for anyone who's ever used a Web browser. We offer the Complete Training Courses in either a CD-ROM or a Web-based format. When professors order the Web-based version of a Complete Training Course, their students receive the corresponding How to Program book packaged with a URL and password that gives them six months of access to the Cyber Classroom software via the Web. If your customer has already received C# How to Program, please sample only the C# Multimedia Cyber Classroom CD-ROM (0-13-064587-7) to show them the advantages they would get with The Complete Training Course. Please do not sample The Complete Training Course as they will receive a duplicate copy of the main text.